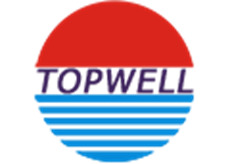 Topwell is professional in plastic mold making and plastic parts making, we have R & D design, wellcome to design your own brand products. We can control the quality well with prompt delivery time. Looking for ideal Professional Plastic Injection Molding Manufacturer & supplier ? We have a wide selection at great prices to help you get creative. All the Plastic Injection Banlance Car Plastic Injection are quality guaranteed. We are China Origin Factory of Car Plastic Injection. If you have any question, please feel free to contact us.